South Suffolk terminal sires are renowned as virile hard working sires, they posses great libido and will keep working under the most adverse conditions. Rams can weigh up to 140kg when mature, they are known for their hardiness and good foraging ability, they have hardy black feet, rams seem to last more years making them a viable proposition in many farming areas, including Australia's marginal areas. Maiden ewes are the South Suffolk speciality, minimal lambing difficulties are experienced using South Suffolk sires over maiden ewes. 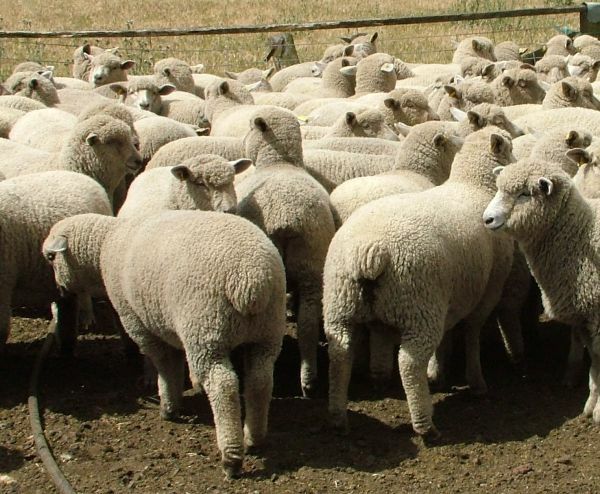 Lambs are born with small heads & compact shoulders, have fast growth rates with uniform quality and early maturity. Lambs have clean faces & legs, so there are minimal grass seed problems. 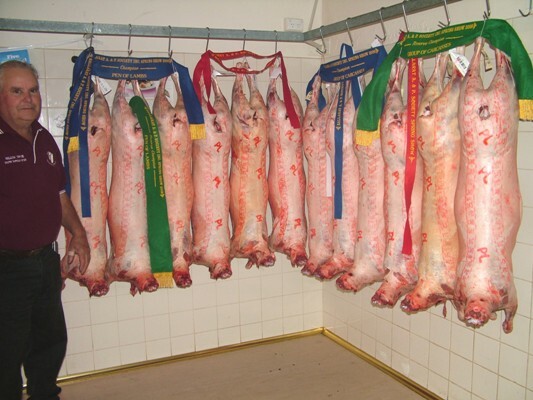 South Suffolk Sired prime lambs for the meat trade produce a carcase with quality lean - fine textured meat . Willow Drive South Suffolk sired lambs have continued winning at local Carcase Competitions. Nov 2009 Ballarat Carcase Competition Outright winner of the Archibald tropyh (3rd time of winning this trophy) for most succesful exhibitor at the competition. 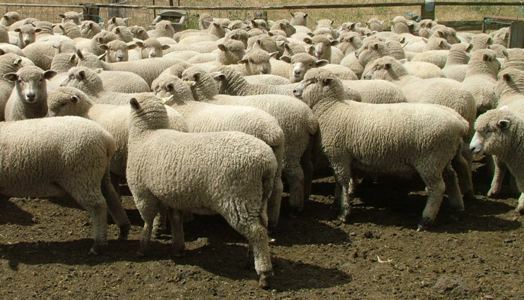 Champion group carcases 19-22kg section, on Hook/ Reserve Champion group carcases 19-22kg , on Hook/ Joint Reserve Champion carcases 22-25kg, on Hook/ Champion pen of LIVE lambs 19-22kg section. Many other wins in this competition. 2nd placing win with 26.1 - 34kg section on Hook. Nov 2008 Ballarat Carcase Comp Winner ot the Archibald perpetual trophy for most successful exhibitor. 1st place on Hoof and on Hook -16-19kg section, same lambs Reserve Champion pen of lambs on Hoof and also on Hook. 1st place on Hoof -19-22kg section, same lambs were 3rd on Hook (lambs were out of weight specifications). 2nd place on Hoof & on Hook 22-25kg section. 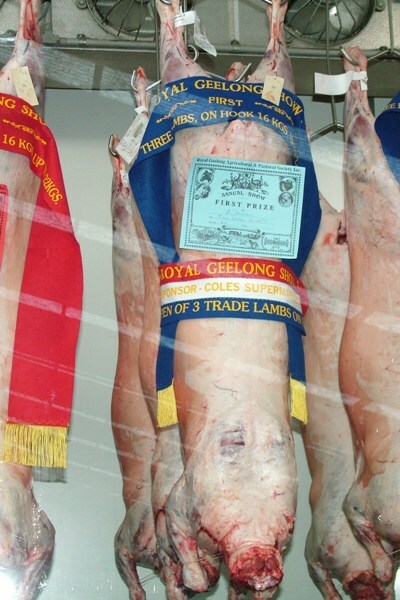 First placing at the 2007 Colac and 2006 Geelong carcase competitions, winning on Hoof and on Hook in the 16 -22kg lamb section at the Geelong competition. The first time a breeder has ever won on Hoof and on Hook with the same lambs entered in the competition. Willow Drive won the 18 -22 kg section of the Colac Carcase competition in November 2007.